• Brochure box is completely weather resistant. Flyers will not get wet! • Comes with tear drop holes and wood screws for easy installation. 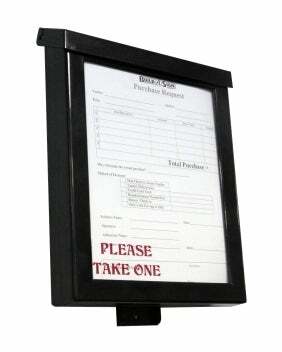 • Picture frame front allows customers to view contents from car.